In the busy world of Real Estate professionals, organization is a critical aspect. Considering all of the work that needs to be done, any tools available can help. 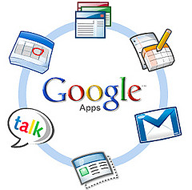 We recommend Google Apps because it has powerful functionality that may be helpful to your business and because, since it is all web based, you can access it from anywhere you have an internet connection (just like PropTrackr). Gmail – A web-based e-mail app that provided 25 GB of email & IM storage (that’s a lot! ), has excellent spam filtering, and can be synced with Outlook & smart phones. Google Calendar – A web-based calendar application that supports shared project calendars, integrates with e-mail, and can be accessed from mobile devices. We hope that you find these tools useful, and we look forward to sharing more tips.